By Ali Cinar- New York - 555 men and women joined their fellow NYPD officers in protecting New York City this Wednesday. 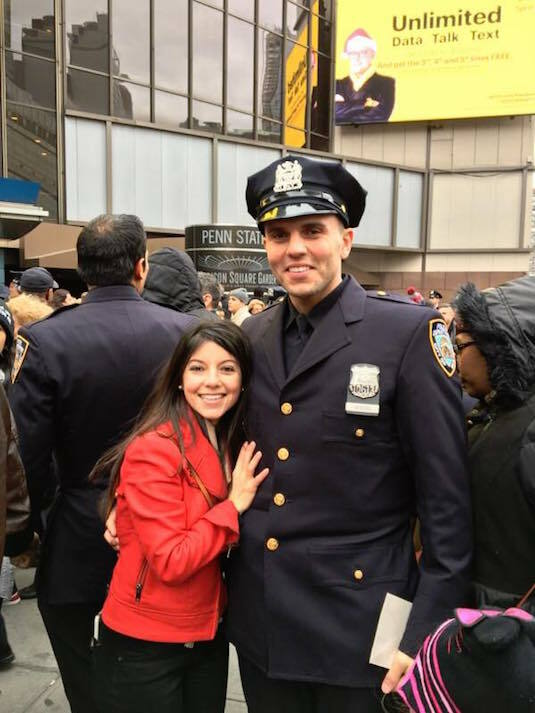 The Graduation Ceremony was held on Madison Square Garden attended by the new officers' friends and family, and presided over by Mayor Bill de Blasio and NYPD Commissioner James P. O'Neill. NYPD December class represents 39 different countries, 44 different languages, and includes 51 individuals with prior military service. Police Commissioner O'Neill gave his opening remarks at the Ceremony with a powerful message for new Police Officer. “You are being given an awesome responsibility. You are joining the finest police officers anywhere. I am so proud of you " O 'Neill said. "​NYC Mayor Blasio also ​delivered his remarks at the Ceremony.“ I have to tell you, graduates, you’re an impressive class by any measure. We can all say with assurance you are the best trained class in the history of the NYPD because the training efforts continue to improve every single year. You’re going to be working with the best technology of any group of graduates in the history of the NYPD. You look like New York City. You come from every neighborhood, every background. You reflect the greatness of our city.” said NYC Mayor Blasio.